The UK Battery Regulations define an automotive battery as one which is used for the starting or ignition of the engine of a vehicle, or for providing power for any lighting used by such a vehicle. Note: Some Hybrid and Electric Cars have a second battery to provide motive power for the vehicle. 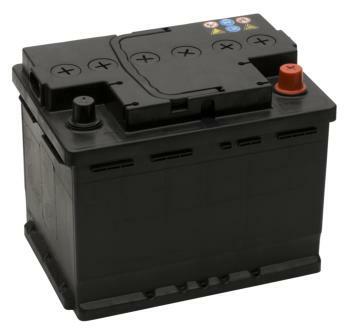 This battery is not an automotive battery, but is classed under the Regulations as Industrial. The vast majority of Automotive starting lighting and ignition batteries are lead acid.